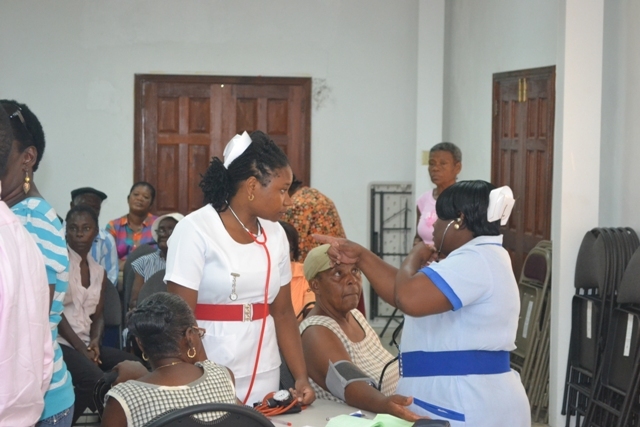 NIA CHARLESTOWN NEVIS (OCTOBER 16, 2015) — A number of Seniors on Nevis congregated at the St. Paul’s Conference Hall on October 12, 2015, to have a blood sugar and pressure tests. 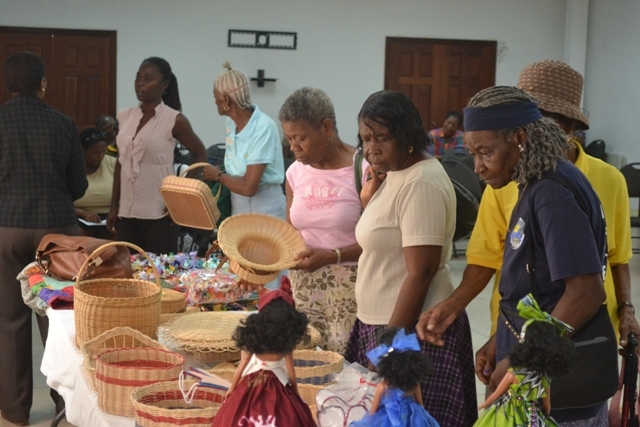 The exercise was part of the month-long schedule of activities in observance of the International Month of the Older Person organized by the Seniors Division in the Ministry of Social Development on Nevis. In a brief comment to the Department of Information, Staff Nurse Tovenia Reid told the Department of Information it was good to check the seniors so they could keep track of their health status. Meanwhile, Ionie Swanston who participated in the examinations, was elated on the positive feedback of her blood sugar and pressure test. She contended that the activity was an indication that the Social Services Department had the senior’s interest at heart. During the session, a mini exhibition showcasing the craft work of seniors was also on display. According to Caregiver for the Jessup’s and Barnes Ghaut communities who is attached to the Department of Social Services Yvette English, among the various items on display were the artful work of Alison Herbert’s hats and mats while the hand sewn patchwork spread demonstrated the skill of a group of Seniors. Coordinator of the Seniors Division in the Ministry of Social Development Garcia Hendrickson acknowledged those who have partnered with the Division. 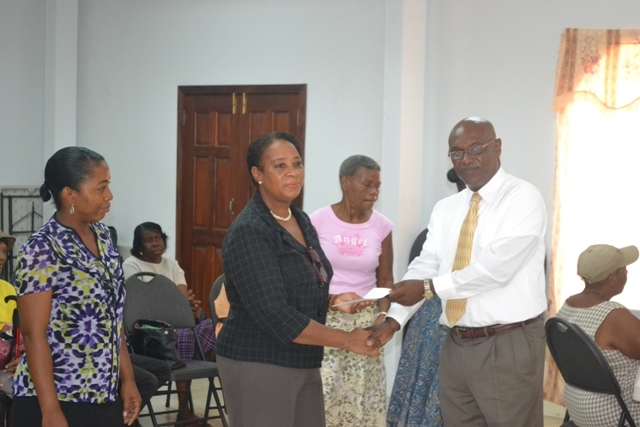 She pointed to the partnership with other institutions in the community and their benevolence and expressed gratitude to the Nevis Corporative Credit Union (NCCU) for its monetary donation. Director of the Nevis Corporative Credit Union Board Vernel Powell and Manager of Nevis Co-operative Credit Union Sydney Newton presented a cheque for EC$1000 to Hendrickson for use in the Division’s continued care of the island’s seniors.